Americans like their internet service providers even less than they did last year, which is quite the accomplishment since the companies weren’t all that popular then, either. The American Customer Satisfaction Index’s report on telecommunications companies found ISPs hit an all-time low this year. Not one single ISP saw an improvement in customer satisfaction over the course of the last year, and the industry as a whole dropped 3.1 percent when rated by consumers. Poor service, high prices, and lack of choice rank high on the list of complaints about internet providers. The big four in the field—Verizon, AT&T, Charter, and Comcast—all faired pretty poorly in the eyes of consumers. Only Comcast managed to maintain its same level of satisfaction as it received in 2017—an accomplishment if not for the fact that the company was already the least-liked of the major providers. Comcast scored just a 60 out of a possible 100 for the second year in a row. Verizon and AT&T saw slight dips in satisfaction, each losing one percent of approval in 2018. Verizon remains the only ISP with an approval rating of 70 or above, though it’s holding on by a thread at 70 exactly. AT&T, meanwhile, scored a 68 this year. Taking the biggest fall in 2018 was Charter and its Spectrum service, which encompasses its own network as well as the infrastructure from the company formerly known as Time Warner Cable. Charter acquired Time Warner Cable’s internet holdings in 2016 for $55 billion, and it appears customers wish it didn’t. The company dropped eight percent in customer satisfaction in 2018 and now sits at a score of just 60 out of 100. According to users, most aspects of ISPs are getting worse. Courtesy and helpfulness of staff has waned to 76, and in-store service is slower (74). Bills are more difficult to understand (-3% to 71) and customers aren’t happy with the variety of plans available (-3% to 64). Cable companies also tanked in 2018, dropping to an 11-year low in customer satisfaction per the Index. That in part explains the exodus away from pay-TV service and toward streaming options—most of which had a much higher satisfaction rating than its cable counterparts. David VanAmburg, managing director ACSI, went further, explained in a statement that while most industries reward customer loyalty, “telecom is the exact opposite.” VanAmburg noted that ISPs and cable companies are “focused on customer acquisition and offering the best deal to lure customers away from competitors” rather than offering its existing customers any reason to stick around. 2018 was the first year that ACSI tracked customer satisfaction with streaming services. It found the industry to outpace its traditional competitors, posting an overall satisfaction score of 75 compared to 62 for cable companies. Netflix topped the list with a score of 78 and just one service—Sony’s Crackle—dropped below 70. With the repeal of net neutrality protections still looming—though not without a fight—and companies like Comcast looking for ways to punish cord cutters for not subscribing to cable, those customer satisfaction numbers might drop even further in 2019. Of course, that’s not the number that ISPs care about. Just check their revenue figures to see if your service is going to improve or not. 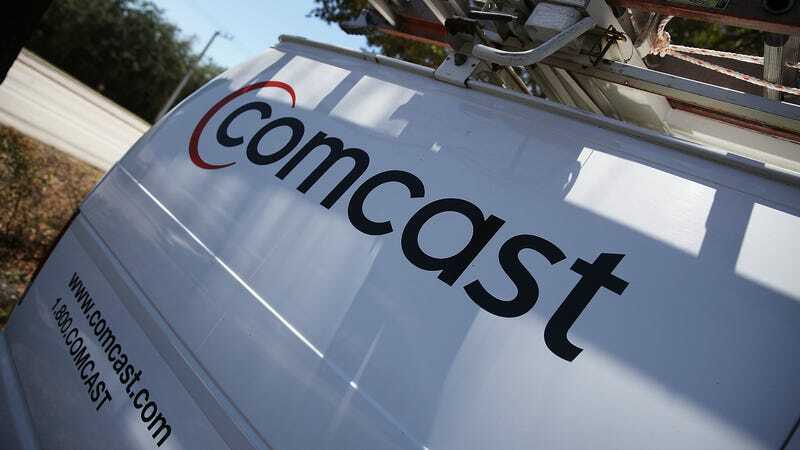 Comcast to Customer Who Noticed It Secretly Injecting Code: Maybe It’s Your Fault?